A Weaver Recon Products. Can offer Internet Sales & Sales direct from our show room based in Burton On Trent DE141RW. We carry all machinery listed with in our sales portfolio which can change daily.The machinery i sell i have been involved with since i first started 40 years ago. Design may have changed but qualty has not.We will gladly give you a Quate on any other machinery supplied bye any other supplier. 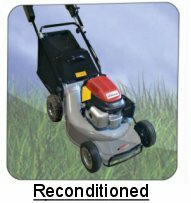 Recon Machinery is a big part of our sales offering machinery at affordable price backed with warranty for peace of mind. We allways have a good selection and will gladly take your machinery in part ex. For us to quate on other machinery you are interest in Email or phone your requirments and i will gladly give you my up most attention. 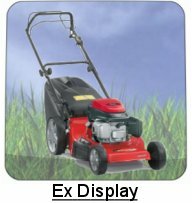 If we dont have a used machine on our used portfolio to meet your needs its possible that we my be taking one in part ex very soon so Email leaving your details and i will get back to .Delivery with in 10 Miles of Burton On Trent & Mansfield is Free Charge.We accept Credit Cards Paypal Bank Transfer Cheques. 01283 564920 01623 860343 07796424137. 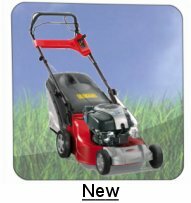 We stock a large range of parts for all brands and types of garden machinery. 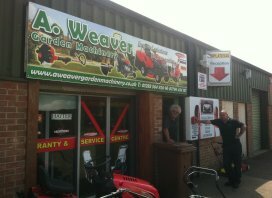 Alan here of A Weaver Garden Machinery - Recon Products . Based on one of the busiest roads in the North side of Burton On Trent. How times have changed within the 4o years that I have been in the trade. When I first started, Britain was a leading manufacturer of all products, now it seems to be a mass of 'do it yourself' stores and internet sites where you do your transactions on line without any personal contact. With only one thing in mind, PROFIT. Most just sell products without any back up service. I have always given the service which I would expect if I purchased a product. It is alright buying a product but there may be no back up service within their warranty period. Or any back up when repairs are needed due to parts being unavailable. 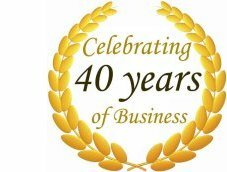 Here at A Weaver Garden Machinery, I have built up my business from scratch and 40years later I must be doing something right. We offer all services, Service Work, Sales, Warranty Work. Having workshops within the Staffordshire, Notts, Mansfield & Derby Areas we can cater for your needs. Lawnking,Castel-Garden, Rally,Mountfield, Honda, Hayter,Countax, Flymo.Atco, Qualcast, Westwood, are just a few. We offer a full collection and delivery service. Show room is based at our Burton Branch catering for your everyday needs. Spares and stocking New and Reconditioned Machinery. We accept work on behalf of B and Q, Argus, Screw Fix, Machine Mart, Homebase,etc. These companies were not heard of when I started. We do offer internet sales where you can discuss your requirements on a more personal basis and allowing us to take your machinery in part exchange if required. I can be contacted on 01283 564920- 01623 860343- 07796 424 137.